Under current law, Thailand only allows class action lawsuits for securities related issues such as holders of debentures to be joined by the Securities and Exchange Commission to a lawsuit against a company. However this will soon change as the National Legislative Assembly has recently passed a bill to allow additional forms of class action lawsuits in Thailand. A class action allows a lawsuit to be initiated on behalf of a large number of injured parties with common facts. There are generally four requirements for a class action proceeding. First, they must be a common set of facts and issues of laws between the plaintiff and other class members. A judgment should bind all class members as long as the members are given sufficient notice of the developments of the case and what each class member will receive. Members of the class action should have the right to opt-out of the class action and file a separate lawsuit. The plaintiff initiating the lawsuit must qualify as a representative of the class. In Thailand, class action lawsuits will soon be able to be filed for cases involving the environment, consumer protection, labor, and trade competition in addition to current SEC provisions. The NLA bill that expanded the areas available for class actions has received royal endorsement and will become effective in December of 2015. The new bill imposes restrictions on a traditional Anglo-Saxon forms of class action. A Thai court has the power to allow, define the scope and characteristics of the class, and terminate a class action. The court must certify the class action by finding that it is in the interest of justice and efficiency to create a class of plaintiffs. In addition, the new law imposes financial requirements on class actions. The plaintiffs must deposit funds into the court that will cover the actual costs of the class action. 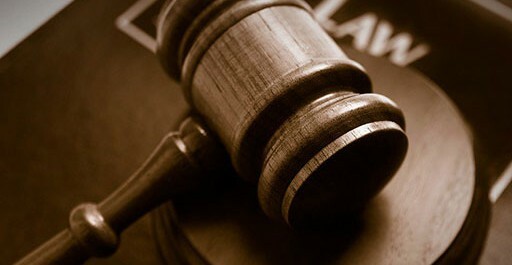 Plaintiff attorneys cannot be awarded more than 30% of the judgement amount. After a class action is initiated and the case has been filed, it will generally follow the same procedures as a traditional civil case which requires mediation. Class action lawsuits if used correctly are beneficial to a legal justice system. It allows a large number of victims whose case is too small to be economically feasible for a lawsuit the opportunity for compensation. The less privileged in society will now be able to join together to seek justice. A class action also ensures that cases with identical issues or facts will have the same judgment. Do I understand that Class Action against Banks will not be allowed until December 2015 or are they in fact allowed now? Thank you for taking some time reading our post. In response to your concern, probably not. In Thailand, class action lawsuits will soon be able to be filed for cases involving the environment, consumer protection, labor, and trade competition in addition to current SEC provisions. Would that not be included under consumer protection as in the United States? Under current law, Thailand only allows class action lawsuits for securities related issues such as holders of debentures to be joined by the Securities and Exchange Commission to a lawsuit against a company. There was no class action for consumer products. The new law allows it. Yes I understand that but under consumer protection for services would that not include Banks as they furnish a service. As mentioned, the law doesn’t state anything about banks. The amendments to the Civil Procedure Code allowing for class-action lawsuits will come into force on December 2015. It is after its enforcement date when a foreigner will be allowed to file a lawsuit.